Ahoy and welcome to this week’s edition of “See the World”! Hopefully you enjoyed our journey to Fredericton, New Brunswick, Canada last week and Edinburgh the week before. If you missed last year’s “See the USA” series, there’s a lot of travel inspiration over there. This week we’re heading to the Caribbean and Grand Cayman! 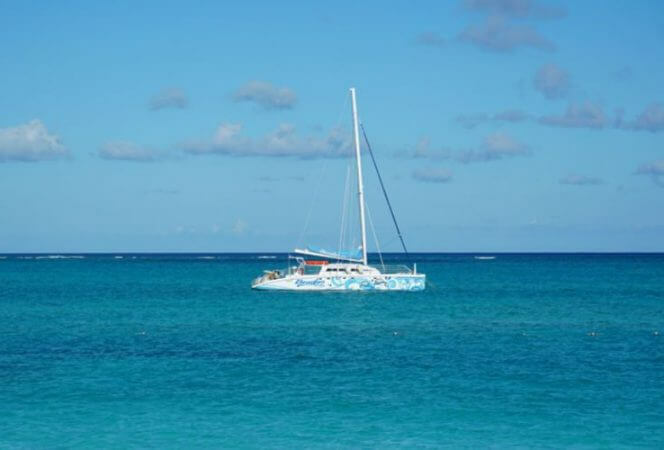 Erin Gifford from Kidventurous is sharing her favorite family friendly things to do in George Town, Grand Cayman. Warning: this post will have you booking a plane ticket for a trip to The Cayman Islands! The Cayman Islands in the Caribbean are a great place to visit with kids. 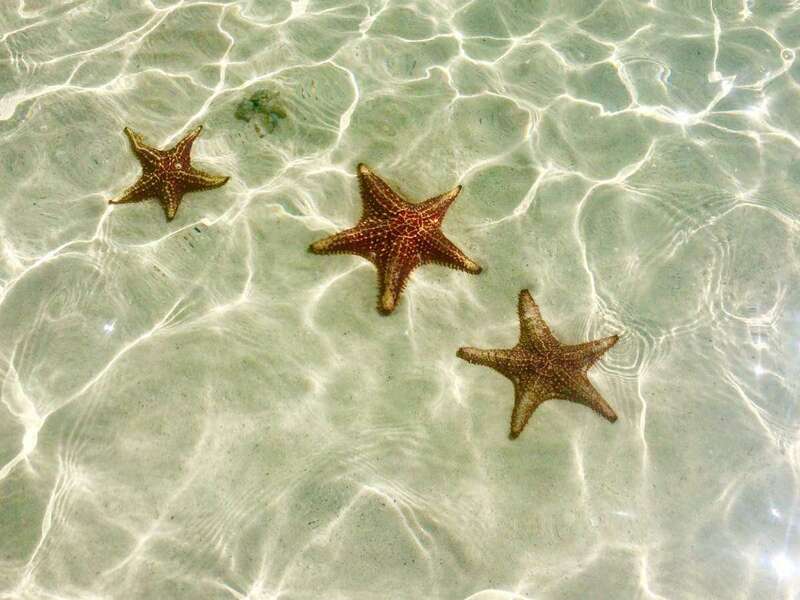 There’s so much to explore, like Stingray City and Starfish Point. Or, simply build sand castles on renowned Seven Mile Beach and splash in the crystal clear waters. 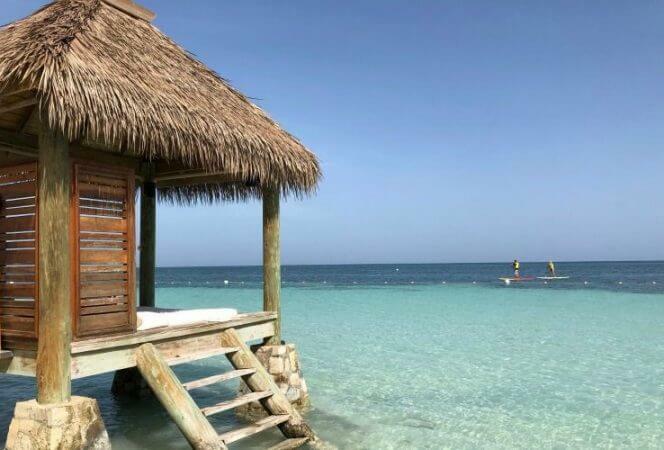 For those eager to get out and see what the Cayman Islands have to offer, book a stay in George Town on Grand Cayman, the largest of the three Cayman Islands. You’ll see cruise ships, sea turtles and stingrays, even lizards and colorful fish. 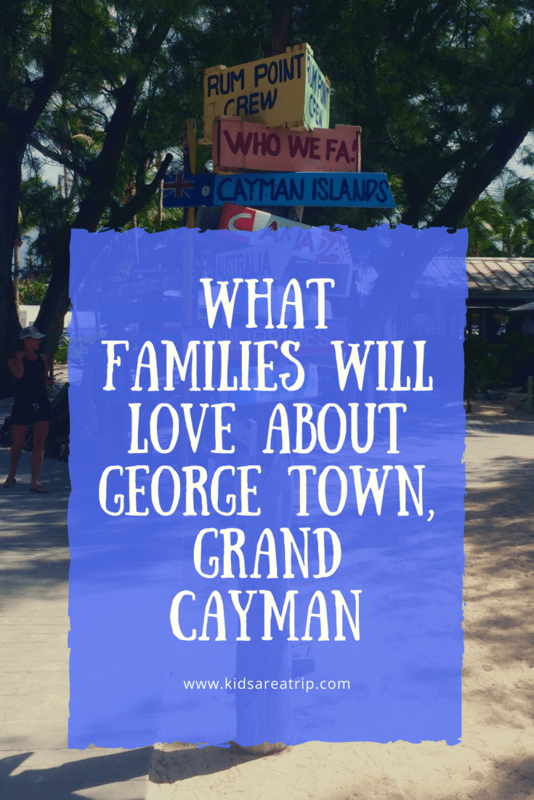 Here are five of my favorite family-friendly activities in George Town, Grand Cayman. The open-air Cayman Turtle Centre is a favorite in Grand Cayman. You’ll see loads of sea turtles, alligators, even nurse sharks and barracuda. 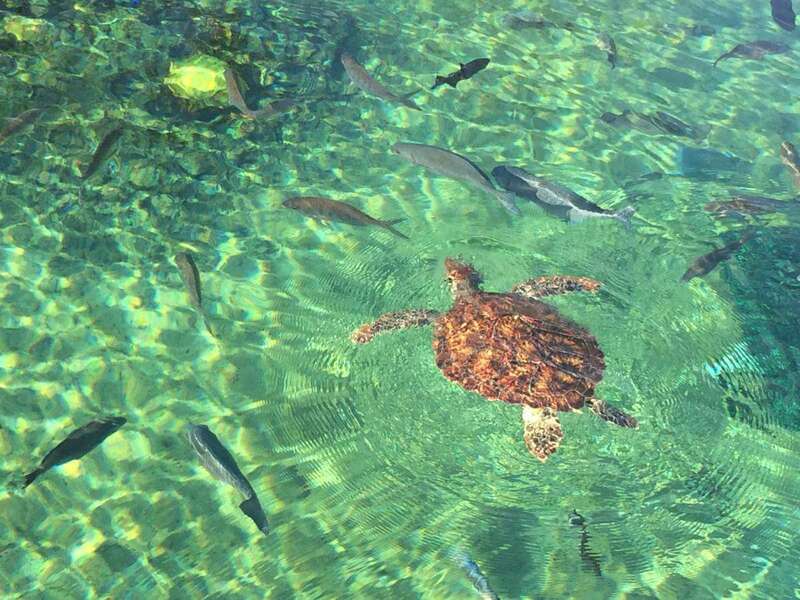 You can snap a photo with a sea turtle while you’re there. There’s also an aviary with exotic and colorful Caribbean birds. It’s a great place to explore, but wait until mid-afternoon, after the cruise ships leave the port in George Town for fewer crowds. I went to the Cayman Turtle Centre around 4 pm and had the place all to myself. I was honestly surprised to learn that Stingray City is simply a sandbar in the middle of Grand Cayman’s North Sound. I took a charter boat tour with Six Senses Cayman Adventures and didn’t know what to think when it was time to jump out in waist deep water. There they were, dozens of friendly stingrays. You can only explore Stingray City as part of a tour with guides who are happy to help you hold a stingray and snap pics with these sea creatures. In addition to Stingray City, we also made a stop at Starfish Point during our guided boat tour. Honestly, Starfish Point is awesome. I’d suggest this as a must-do to anyone. Kids will love holding starfish. However, I expected to see dozens of starfish in the water. I saw maybe eight or ten. It was very, very cool, but unfortunately, so many starfish were taken from the water by tourists and that was that. Now it’s illegal to remove starfish from Starfish Point. One of the most beautiful beaches in the world, Seven Mile Beach in Grand Cayman boasts sugar white sand and crystal blue waters. So, honestly, if you and your kids never left the beach, you’d still have a fantastic time in Grand Cayman. Many hotels, including the new Kimpton Seafire and the Comfort Suites Seven Mile Beach, are situated right on the beach. Both are also a stone’s throw from George Town. 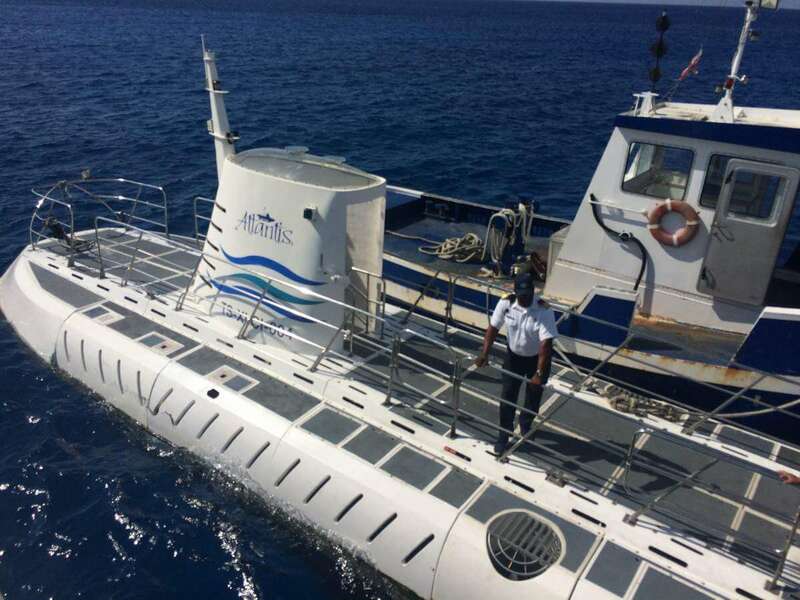 I’d never been on a submarine before, so the prospect of exploring the ocean just off George Town in Grand Cayman, was very cool. I did this with Atlantis Submarines and went deep into the water on board a 48-passenger submarine. Kids will love seeing all kinds of fish and coral reefs during this 90-minute excursion. As a bonus, Atlantis Submarines provides a colorful flip book of the different types of fish so you know what you’re viewing. The guides were also good about pointing out different sea creatures. It’s easy to get around the island by bus too. It’s just $2.50 to ride the bus to popular spots, like Rum Point and Cayman Turtle Centre. There are signs along the main road where you can wait for a minibus. Many ground tour operators will also pick you up at your hotel and bring you back so you and your kids don’t need to navigate on your own. Erin Gifford is a Washington, DC-based writer focusing on family and adventure travel. She blogs about family travel at Kidventurous and must-have travel finds at Best Travel Life. She’s an avid runner and lover of road trips.